Fairly recently, I was lucky enough to be invited to a small Christmas gathering arranged by local food magazine Yummy. I was quite excited about it for two reasons. First, because I like Yummy magazine. I read and collect it for ideas and recipes. 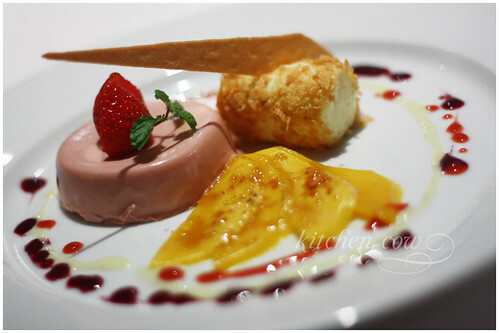 And second, because I hear Dusit Thani’s restaurants serve good food. Please sir, may I have more soup? Still thinking about the soup. 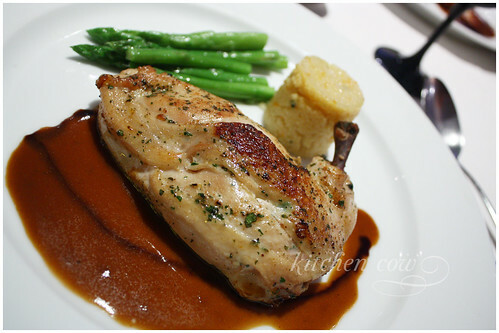 Our main course was a chicken breast stuffed with marinated apricot, served with an orange cinnamon couscous and green asparagus. A nice enough course, but honestly, since my tastebuds were still reeling from the soup, I was contentedly plowing away, stuffing slice after slice of chicken in my mouth, still thinking about the soup. That and wondering why the couscous was sticky. I guess I’m partial to normal couscous—in fact, the loose texture is what I adore about couscous, so it really left me baffled. Om nom nom nom nom nom nom! You’d think that with all the glorious eating happening around me, I wouldn’t be able to pay attention to other things, right? Fortunately, Editor-in-chief Becky Kho was able to catch us between courses to share what was happening and what will happen for Yummy. Aside from the Yummy magazine we all know and love, there’s also its online sibling, Yummy.ph. Offering loads of web-exclusive content, yummy.ph is a very useful online stop for cooks and food lovers alike. Big, encyclopedic cookbooks can be intimidating at times, especially for those who are just learning to cook and for those who don’t have time for it. 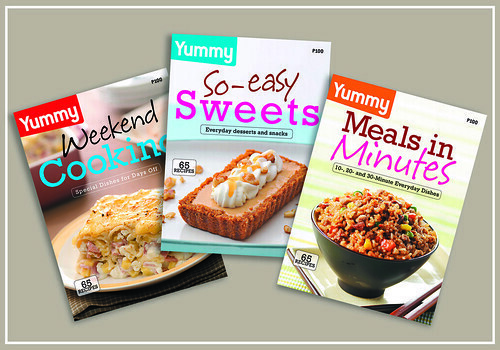 Thankfully, Yummy’s series of little cookbooks carries with it the spirit of Yummy magazine. Fast, simple and easy looking enough that you won’t be afraid to experiment. Currently, Meals in Minutes and So-easy Sweets are out, but the third installment, Weekend Cooking is coming soon too, quite possibly before the year ends. As 2010 looms along the horizon, a whole cartload of planners are jostling for your attention. 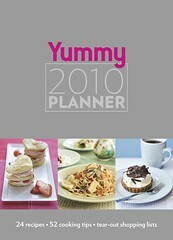 Joining the fray is Yummy’s 2010 Planner. Handy for cooks and food lovers, the Yummy planner has monthly recipes, weekly tips, tear out shopping and resto lists, even an index for Yummy 2009 issue recipes. That’s on top of all the usual planner features (schedules, memo pages, calendars) to help organize your life. If you already have a different planner, why not use this as a food journal instead? Keep track of everything you’ve eaten, awesome recipes you’ve tried and memorable restos you’ve visited. Half the fun in journaling is being able to look back and remember the lovely meals you’ve eaten, and the interesting companions you’ve eaten with. It’s really engrossing, so try it. I mean what else is this blog but a big public journal of things eaten? Special thanks to Yummy, Fran & Ro for the invite. Such a lovely evening, thankies! 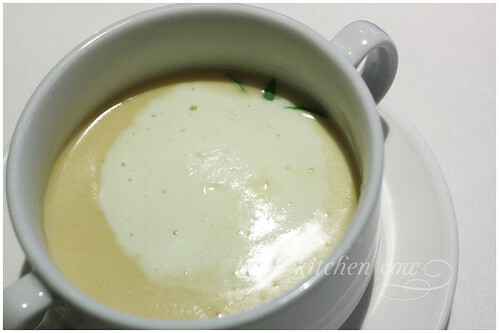 This entry was posted in food news, restos & eateries, sponsored events and features. Bookmark the permalink. Yum Yum and Nom Nom, indeed! wow that looks like a fun dinner, and the soup…sounds delicious! It was so much fun, yes! I guess it always is, when you’re eating in the company of fellow foodies.